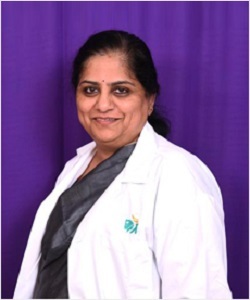 Dr. Chitra Ramamurthy is a Gynecologist in JP Nagar, Banglore and has an experience of 37 years in this field. Dr. Chitra Ramamurthy practices at Apollo CM Fertility in JP Nagar, Banglore. She completed MBBS from Karnataka University, India, 1980, MD – Obstetrics & Gynaecology – Bangalore University, 1983.